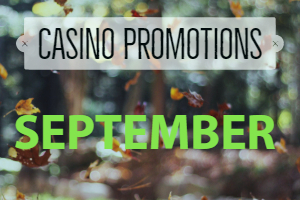 Silversands Casino will be running the following promotions across their brands for the month of September 2018. You will need the casino software to play which you can download here. Silversands will be hosting a 15 day Free Roll slot tournament with a prize pool of R35,000! This tournament will start on the 1st of September and will run until midnight on the 15th of September. Feel some magic in the air this September with Stardust! This offer can be redeemed up to 30 times per player until 30 September 2018. Wagering for this promotion is set to 10 times the deposit, bonus received and amount obtained from the free spins. Get 40 Free Spins on Ancient Gods using your mobile at Silversands this September. Simply open the mobile app and tap on the banner at the top to get your free spins! This offer is valid once per player until the 30th of September 2018.